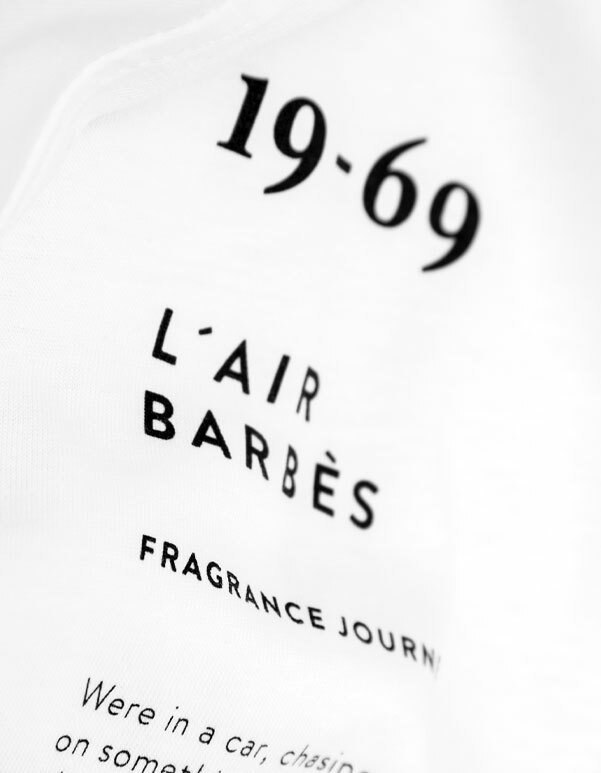 L´air Barbès is a tribute to Paris, capital de la mode. All 19-69 fragrances are suitable for any gender. The first scent impression of a fragrance are the top notes. Usually light aromas that evaporate quickly, lingering for 10 to 15 minutes. When sample a fragrance at a counter, this is the aroma that you experience. These are the main body of the perfume. Emerge just prior to when the top notes dissipate. Scents from the mid notes appear anywhere from two minutes to one hour after the application of the perfume. Bring depth and solidity to the perfume. These notes are the foundation of the fragrance and slow down the evaporation of the lighter notes. The base notes are usually not perceived until 30 minutes after the application of the perfume or during the period of perfume dry-down. The bottom notes of a fragrance last for some four to five hours on your skin.